Miet Warlop holds a master degree in Multimedial Arts from KASK, Ghent. For her graduation project Huilend Hert, Aangeschoten Wild, an ‘inhabited installation consisting of six scenes and a crawling subject’, she won the Franciscus Pycke Jury Award and the residence prize for Young Theatre Work 2004. Many other performances, actions and projects followed and in 2005 she premiered SPORTBAND / Afgetrainde Klanken a 40’ performance, 20 people racing against time through music and sports. In the context of Lovepangs (Vooruit, 2005) she created the one-on-one performance Cherish the Cherries. From January 2006 until November 2007 Warlop was one of the six artists of DE BANK (Arts Centre CAMPO, Ghent), where she was working on her series of ‘Propositions’, called Big Heap / Mountain. 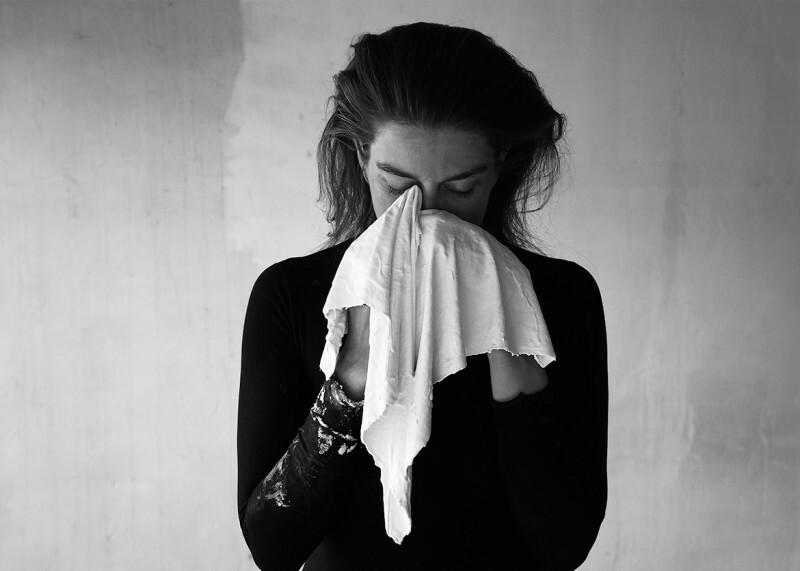 In between, she was responsible for the set design for performances by Pieter Genard, Raven Ruëll, DitoDito-Jef Lambrecht, KVS (Brussels), Arts Centre Vooruit (Ghent) and Les Ballets C de la B (Ghent). While she was touring the ‘Propositions’ all over Europe, she realised Springville, a 50 min game of chaos, expectation and surprise, in which scenography, costumes, props and characters are closely interwoven and merged together. Springville premièred in May 2009 at Arts Centre BUD (Kortrijk). Miet Warlop moved to Berlin for three years, to concentrate on her visual work and prepare a new piece called Mystery Magnet, which premiered at KunstenFestivalDesArts (Brussels) in May 2012. 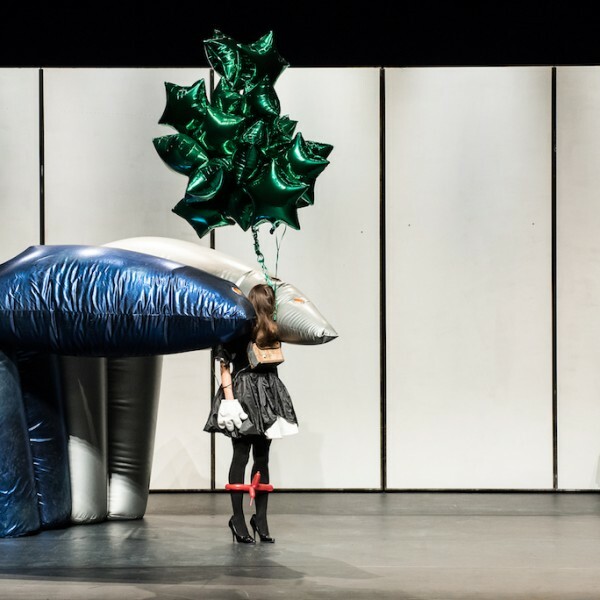 Mystery Magnet Won the Stuckemarkt Theatertreffen Prize at the Berliner Festspiele for new forms of theatre. Mystery Magnet has played more than 100 times all over the world and was nominated for Theatertreffen Berlin for finding a new way of making stage-arts. Mystery Magnet is still touring all over Europe and beyond. In the course of 2012-2013 Miet Warlop explored different possibilities with her Nervous Pictures and performances, through projects and invitations, both in a visual arts as in a theatre context in/with Baltic Triennial (Vulnius), Hebbel am Ufer (Berlin), Lisson Gallery (London). In November 2012, as part of her four-year associated artist residency at Beursschouwburg (Brussels), she created the opening event of the season with the Alligator Project: a weekend of combined media and performances by different artists and musicians like Reggie Watts and Michael Portnoy, curated by Miet Warlop. In 2014 Miet Warlop started her own legal structure “Irene Wool”. 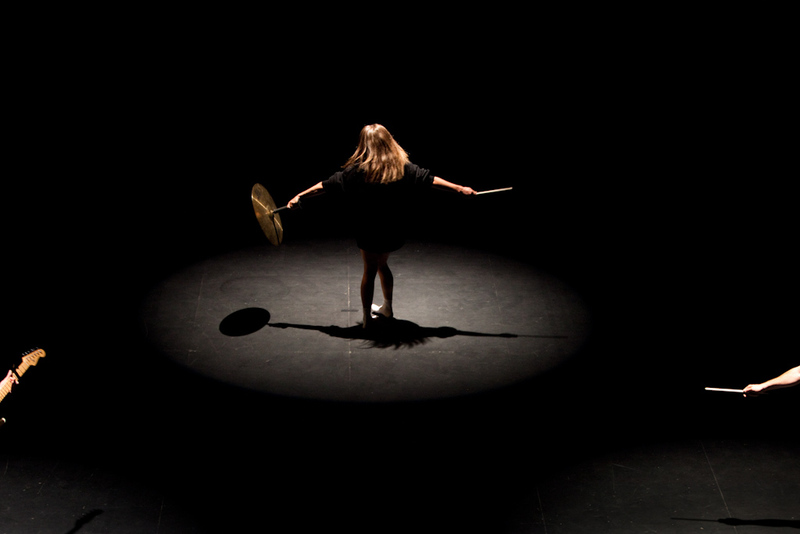 In October 2014 the first production Dragging the Bone premiered at Beursschouwburg (Brussels). Dragging the Bone is a solo performance on a sculpted planet. In 2015 Miet Warlop opened the festivities that celebrated the 50 years of Beursschouwburg (Brussels) with a Rocket Piece that took of to the grit. Also, Art Gallery Barbican (London) asked her for a performance in the project Station to Station, hosted by Doug Aitken. While touring her solo Dragging the Bone and celebrating the 100th show of Mystery Magnet in Ghent, Porto and Bordeaux, she finished the year by opening her first solo exhibition project in KIOSK gallery (Ghent) titled Crumbling Down the Circle of my Iconoclasm. In 2016 a new large scale stage work premiered – Fruits of Labor, a deep night music performance functioning as a painkiller for the world. Fruits of Labor premiered at KunstenFestivalDesArts (Brussels) in May 2016 and is up until now touring around the world. 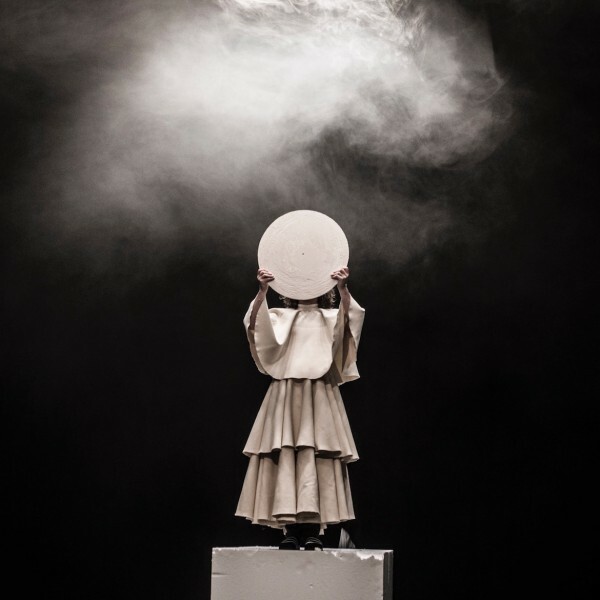 In addition to her performance work for theatre venues, Miet Warlop has created an ever-growing cycle of visual art performances, interventions and live installations. Nervous Pictures has been presented in KW Institute for Contemporary Art (Berlin), Lisson Gallery (London), Barbican Art Gallery (London), Palais de Tokyo (Paris), Performatik (Brussels), among others. In 2017 she opens Arts Institute Vooruit (Ghent) with her monumental performance Amusement Park, and she was invited by BOZAR Centre for Fine Arts (Brussels) within the context of the Yves Klein retrospective exhibition to re-envision and re-stage her seminal work, Mystery Magnet, as well as to create the opening performance of the exhibition, A horse, a man, a woman, a desire for adventure, and to present a visual art intervention, The Board, during the closing cermony of the Paul Bury exhibition. Festival Actoral. 17 (Marseille) invited Miet Warlop to collaborate with author and curator Raimundas Malasauskas for “L’Objet des Mots”, which results in a new project Ghost Writer and the Broken Hand Break that premieres in september 2018 at NTGent (Ghent). Beginning of 2018 Miet warlop creates Big Bears Cry Too, a show for all ages that premieres at hetpaleis (Antwerpen) in April 2018.